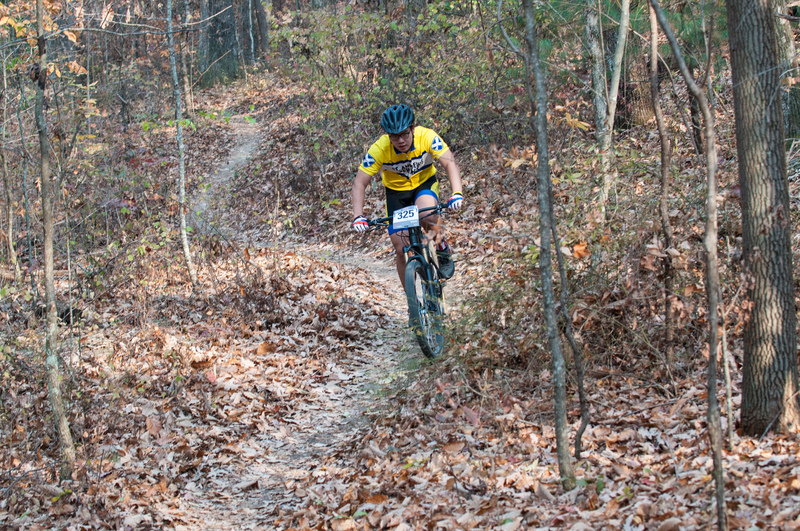 The SAS community enjoys more than 10-miles of campus trails for hiking and mountain biking. The trails were created largely through the efforts of SAS parents. In 1999, the first part of the Bobcat Trail was cleared during a Spring Clean-Up Day. Mountain Biking Coach Speed Baranco spearheaded the planning, clearing, and bridging of many miles of new trails, assisted by his wife Sian SA '72 and son Matthew '15. Over the years parents, faculty, staff, and students joined in the effort to clear and maintain the trails. Members of SAS Boy Scout Troop 14 made trail improvements for their Eagle Projects: Sean Dalton '00 constructed a bridge spanning the creek that connects SAS to the University's Shakerag Trail; Nicholas Baranco '04 built Mountain Lion Lane; Derek Street '04 constructed the boardwalk at the trailhead of the Otter Limits Loop; Zach Huffman '09 completed the perimeter loop with the construction of Eagle Trail; Seth Burns '11 constructed the boardwalk on the trail connecting Deer Track to the Piney Point Trail; and Ethan Burns '11 built part of Salamander Meander. Many of the trails are named for animals that have been spotted on or near campus. Yes, even the mountain lion! For more information about planning a visit, check out our Visitors' Guide or give us a call, we're always delighted to welcome someone to the Mountain. Visitors who are not on campus for special events are required to sign in with one of our receptionists or obtain prior permission. For more information about campus use policies, please contact Sherri Bergman, Director of Communication at 931.598.5651, ext. 2120. This loop takes you past a Native American cave "rock house" and up to a beautiful waterfall overlook. Begin at the Scout Hut and follow Raccoon Run to the gravel road. Turn left and walk up to the hilltop to the sign for Bobcat Trail to the right. Follow this trail along a creek down to the overlook. Then follow the trail back to the dam of the campus lake. Pick up Otter Limits Trail here and it will lead you back to Raccoon Run. This is the longest section, but truly worth the hike—lots of elevation and two lovely waterfalls. Starting at the signboard by Robinson Dining Hall, follow the signs which say Coyote Cliffs. 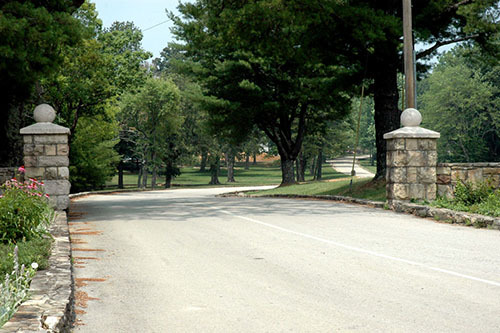 You will cross Fire Tower Road just across from the cemetery. Look for the trail sign. You will follow this trail for two miles and come out on a blacktop, Deep Woods Road. Turn left and the road will bring you right back to campus. For a short easy walk, start at the football field. At the far corner of the field on the lake side, you will see a trail. Follow this around Gunn Lake and you will come out near the barn. You can walk back to campus along the gravel road. This trail follows the edge of the "Res." Beginning from the swimming dock, you will follow the trail around the lake. Once you cross the dam, turn left. You will come out on the gravel road which leads back to campus, or you can go straight on Raccoon Run for a different path back to campus. This hike leads to the best scenic overlook on campus. Walk to the tennis courts. The trail begins at the corner of the practice soccer field. You will cross a bridge over a creek. When the trail forks, stay left, and you will come out to the majestic overlook. At the corner of Simmonds Hall nearest the big field, you will see the start of a trail into the woods. Follow this loop across a small creek and through the pine woods.